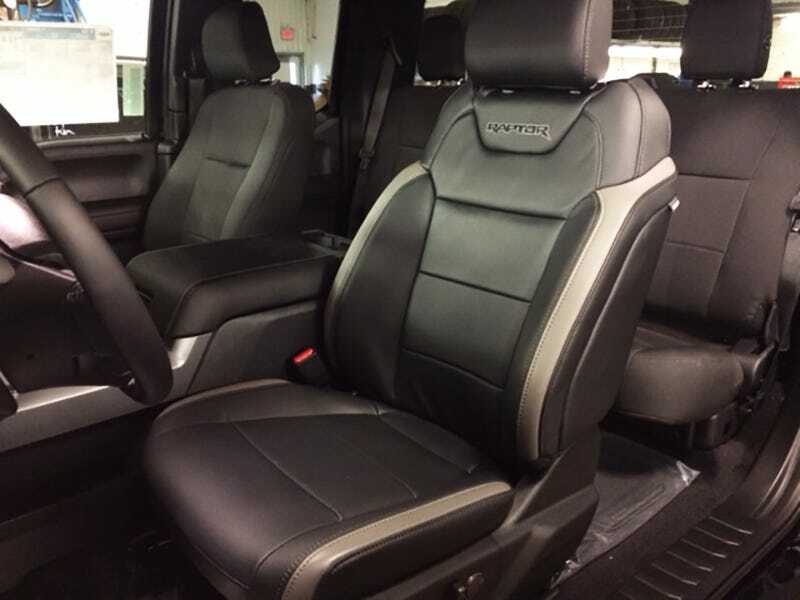 This 2016 Ford F-150 XLT got dropped off at a dealership like every other, except it inexplicably had one sweet upgrade– the high-performance driver’s seat from a Raptor. Gift from the truck gods or somebody’s wacky off-the-menu order? The “defect” was discovered during a routine pre-sale inspection the dealer does with every product that comes in from the factory before going on the lot. A staff member at the dealership actually clarified to me that no “special order” had been placed. The truck was just set to be put on the lot as standard dealer stock. I mean, you’d have to be friends with somebody at the Ford factory to get this kind of special treatment anyway. Even then, I think you’d have a tough time getting this kind of customization in a mass-produced vehicle. But the installation is clean. “Everything on the seat works as it should, power everything,” the dealer told me in an e-mail. Seems somebody (or some robot?) at the factory inadvertently created a pretty awesome package here. The truck’s a basic XLT extended-cab with a spartan interior and a 5.0 V8. And now, a bonus awesome driver’s seat too. I’d think the dealership would have no trouble selling this thing as-is, but the staffer there told me they’ll probably end up submitting a warranty claim to set it back to the standard configuration before putting it up for sale. Sure, the interior looks a little mismatched but I would definitely not complain if my base-model vehicle showed up with a top-trim driver’s seat in place of the standard equipment. Even as much as I hate leather. But I guess Ford HQ probably wouldn’t be as excited about Raptor parts being sold before that version of the truck officially hits the market. Anyway, maybe if you wish hard enough, and the dealer doesn’t notice, your next new car will get some secret upgrades you didn’t pay for!